Place all ingredients EXCEPT sour cream in gallon freezer bag and freeze. Thaw in refrigerator the night before cooking. Place contents of bag in slow cooker and cook on low for 6-8 hours. 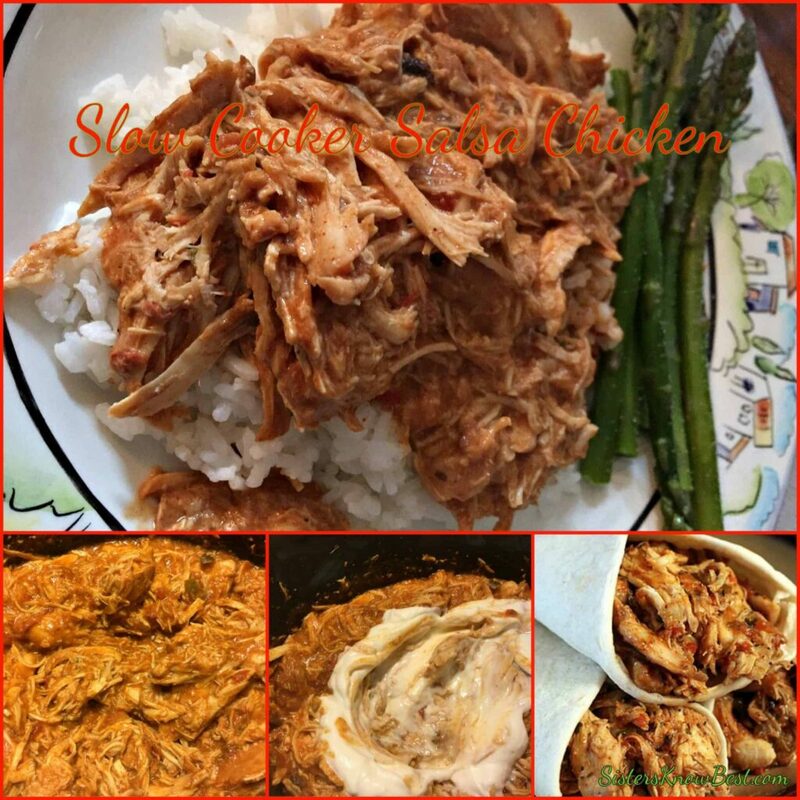 Shut crockpot off, shred chicken and add sour cream. Serve over rice or burrito. The sour cream at the end really gives it a little extra zip but if you forget to pick it up at the grocery store, try adding a little feta cheese to your serving. To me it has the same tangy flavor and the cheese will add the creamy texture. Don’t forget to check out our other crockpot meals to keep that crockpot cooking all year round! What would you substitute the sour cream for? Hi, the print button didn’t work for me, I highlighted and printed anyway. Just to let you know. Sounds so good. Thanks for letting us know. I’ve tested it before. What browser do you use? If it’s Internet Explorer that could be why. It seems it’s outdated compared to some of the other browsers like Chrome and Firefox. Anyway… glad you copied it to print. It’s delicious! You are right, I use IS. I prepared this and we really enjoyed it. Thanks.